Nearly every American kid I know/knew grew up on the wonderful world of Disney. Girls wanted to be princesses and boys wanted to be dashing heroes that saved them from fire-breathing dragons. I’m not sure if my indifference stemmed from a Chinese/Canadian background, or the fact that I was a tomboy and saw no appeal in being a damsel in distress; either way, Disney just didn’t capture me the way it did other kids. But of course, when I was told two years ago that the park contained a hidden, members only restaurant, I knew I had to try it out. Years ago, Walt Disney felt that a special place was needed where he could entertain visiting dignitaries and others in a quiet, serene atmosphere where superb cuisine and distinctive decor would complement one another. He asked artist Dorothea Redmond to provide watercolor renderings of what such a place might look like. 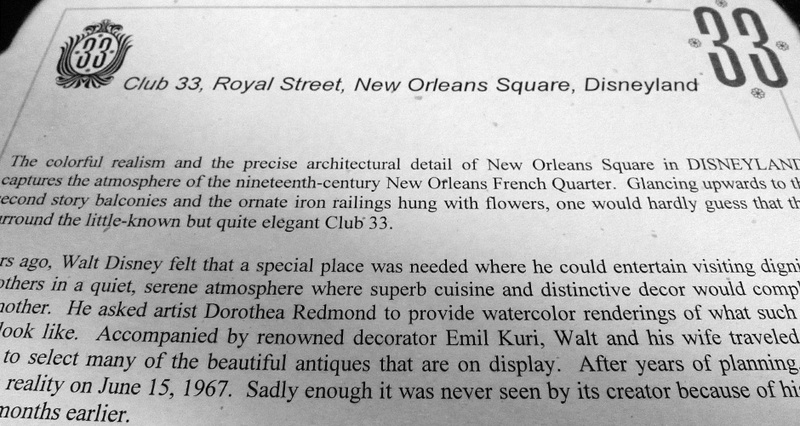 Accompanied by renowned decorator Emil Kuri, Walt and his wife traveled to New Orleans to select many of the beautiful antiques that are on display. 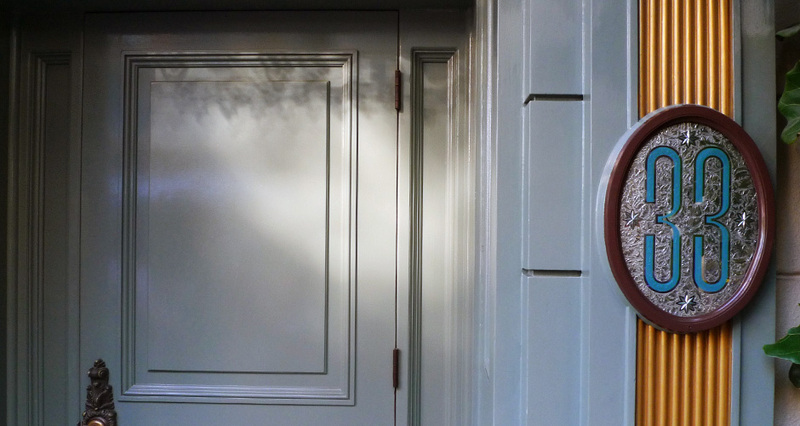 After years of planning, Club 33 became a reality in May of 1967. Sadly enough, it was never seen by its creator because of his untimely death five months earlier. 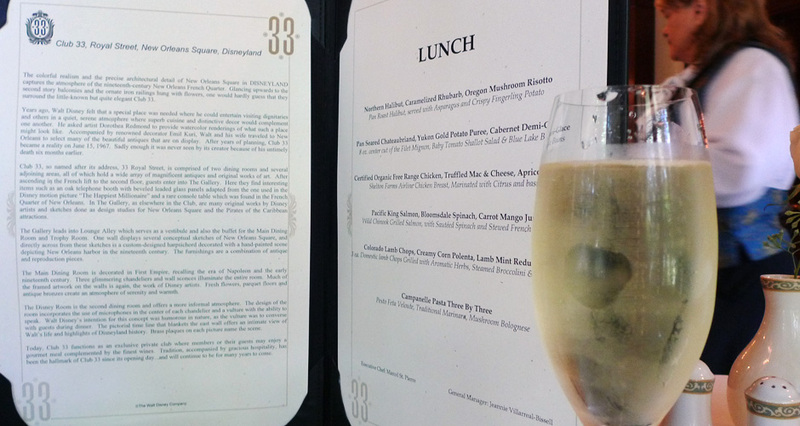 Today, Club 33 functions as an exclusive private club where members or their guests may enjoy a gourmet meal complemented by the finest wines. 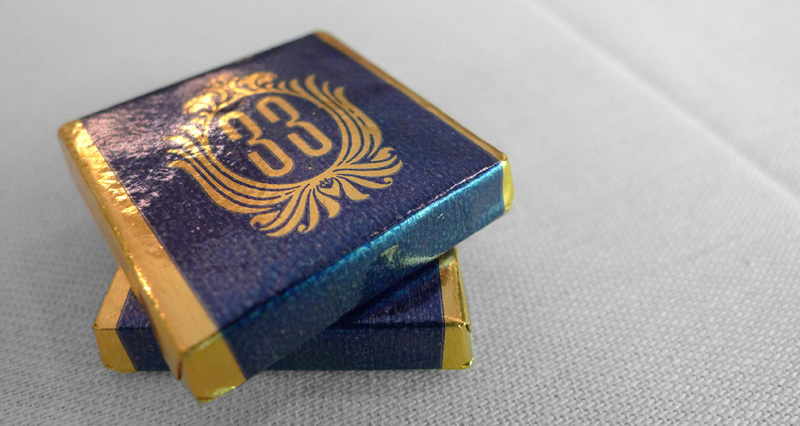 Tradition, accompanied by gracious hospitality, has been the hallmark of Club 33 since its opening day . . . and will continue to be for many years to come. 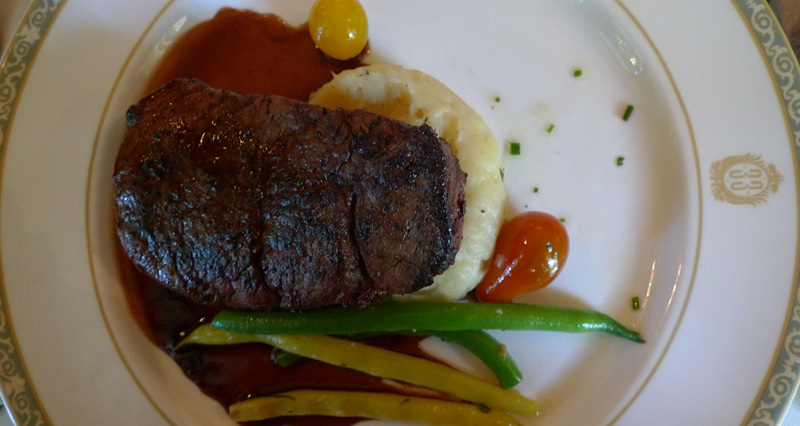 Usually passes for both Disneyland and California Adventure are a little over $100/person, but with a reservation at CLUB 33, you receive day passes to both as well as your meal – either brunch, lunch or dinner. Considering the unhealthy, over-priced food you’re forced to buy at the park, it’s actually a lot more economically reasonable if you can swing a reservation. I think I was way more excited than Neil was about going, but he managed to score a bajillion points on FourSquare so both of us left happy (and stuffed) campers. After receiving specific directions from the guy at Guest Relations (and Rabbi Barclay who made the reservation for us), the door was surprisingly easy to spot. I was kind of expecting to crawl through a tunnel, behind a waterfall and through some invisible shield to get there. But considering the massive amounts of visual stimulation at Disneyland, I suppose that this little marker could easily be overlooked. 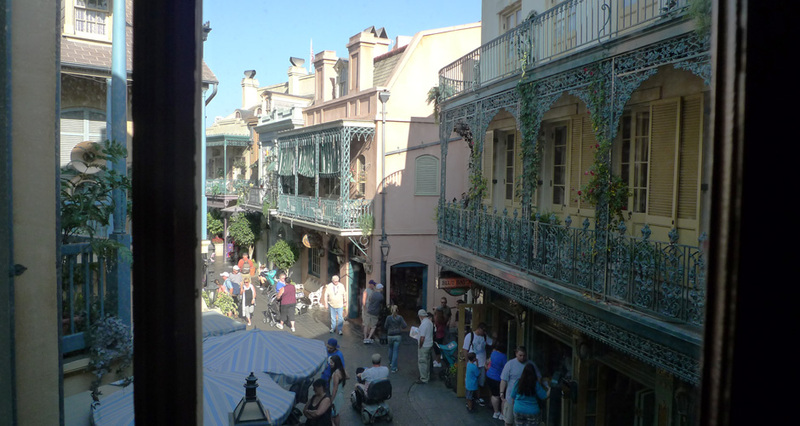 The restaurant itself is located in New Orleans square next to the Blue Lagoon. Every view from every window is of something meticulously planned out and unbelievably quaint. My hat goes off to the Disney design/production team for making this restaurant (and the park) what it is – a truly amazing undertaking. We arrived just in time for our reservation and were received with unbelievably gracious hospitality. Of all the places I’ve been, CLUB 33 has hands down the best service I’ve ever experienced. Everyone is incredibly nice, accommodating and knows exactly when to leave you alone to eat your meal in peace. A few tables near us also had touristy folks taking photos too so I didn’t feel too awkward. Not that awkward photos are out of the norm for me either way. We were told the main courses would take about 25-30 minutes to arrive so we should indulge in the seafood/ appetizer buffet in the interim. Any true Asian knows that the words “seafood” + “buffet” is a stampede waiting to happen. 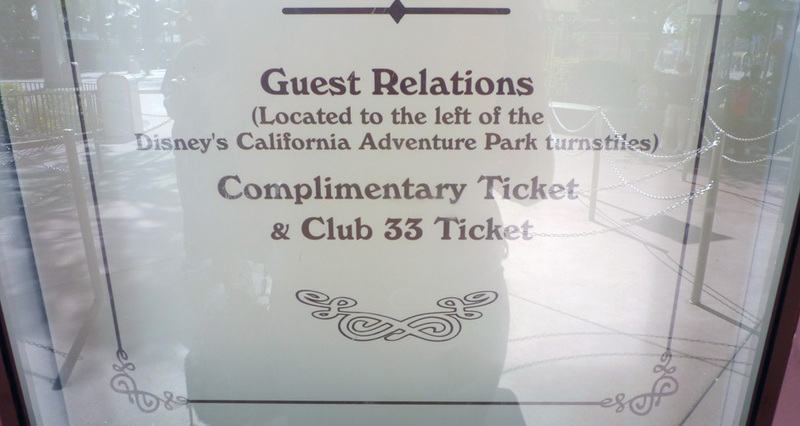 CLUB 33 takes it to another level. 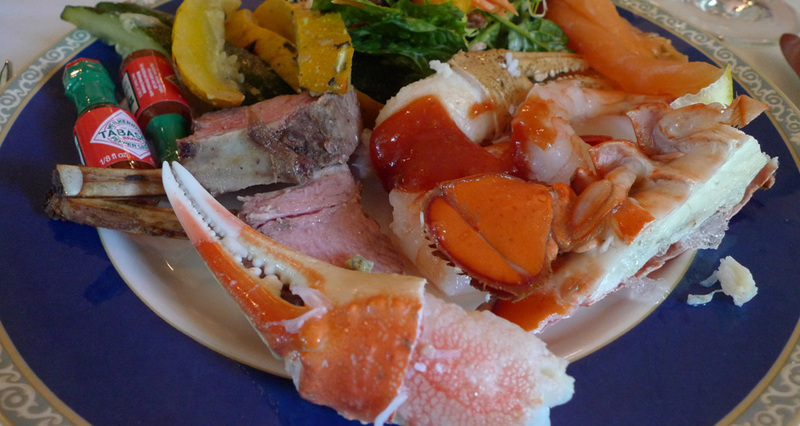 Their lobster tails and crab claws are pre-cracked for ease of devouring – this small detail was possibly one of the highlights of my meal. Every seafood restaurant should consider implementing this for their patrons – it makes everything infinitely easier to eat and we didn’t end up smelling like we’d just come from hanging out with Little Mermaid post luncheon. 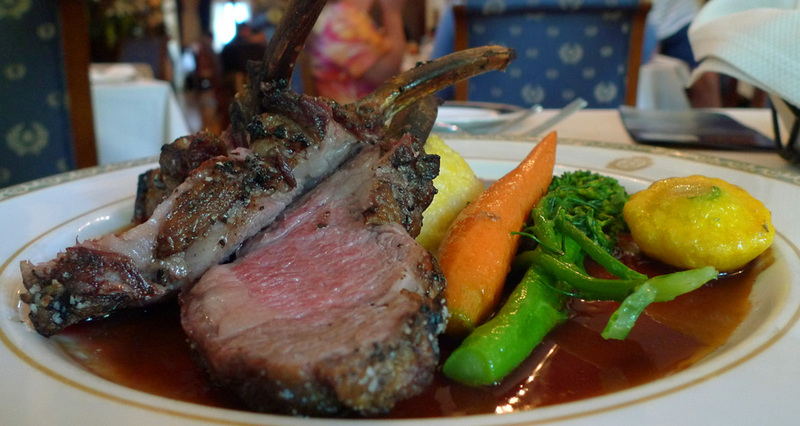 Neil ordered the lamb chops and I had a chateau briand. As he commented ever so articulately: that’s just bougie talk for “steak.” Whatever you want to call it, both were rich, tender and cooked to perfection. I’m more of a fish/chicken/veggie monger, but it’s nice to indulge every once in a while. This was my first trip to Disneyland in nearly 15 years and a definite treat. As Rabbi Barclay and I were discussing afterward, it’s hard to want to go back to Disneyland without a reservation to CLUB 33! There are no pictures of the inside of the club because, to be honest, my photos just don’t do it justice. 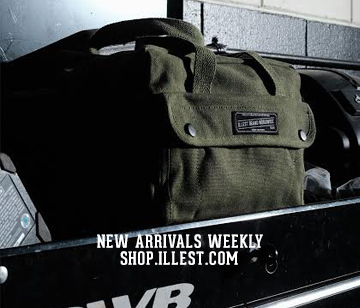 You really need to see every carefully executed detail in person. All my gratitude goes out to Rabbi for making this a dream come true! It was an experience of a lifetime & I’m so glad I got to share it with my partner in crime. 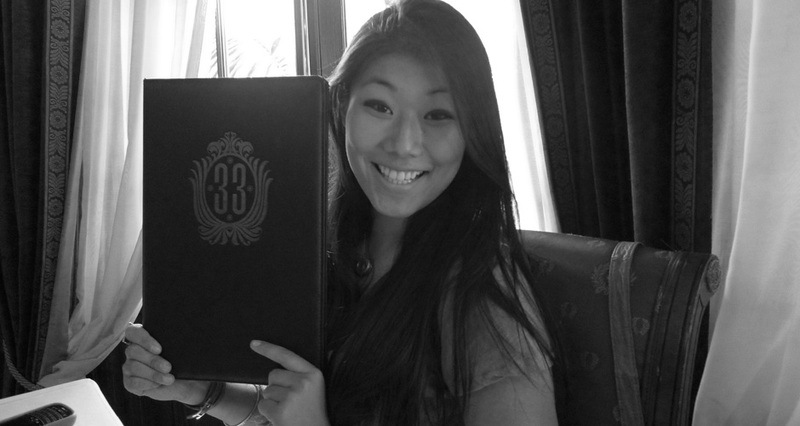 Here’s to many more memories & hopefully many more meals at CLUB 33 as well! Do some research into Walt Disney and the number 33. I can almost guarantee that Walt was an Illuminati. On topic, awesome! I’ve wanted to go ever since I heard about it a few years back too. Looks great!